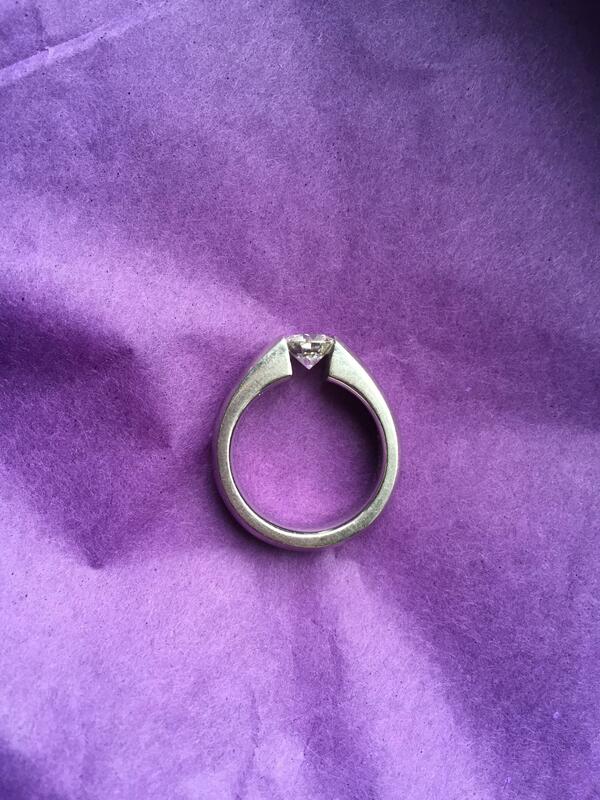 Lovely custom made platinum and diamond solitaire engagement ring. 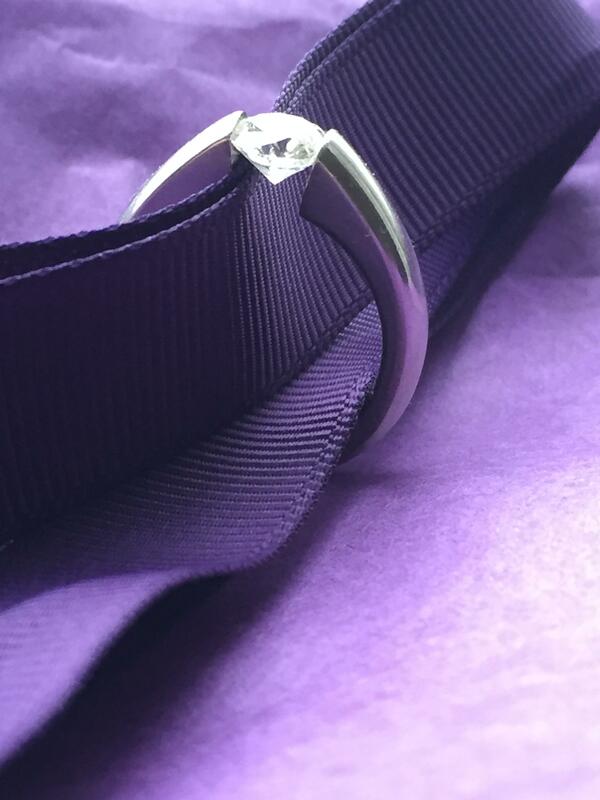 The center contains a round brilliant cut diamond cut diamond which measures 6.48 - 6.54 x 3.95 mm and weighs 1.01 ct. 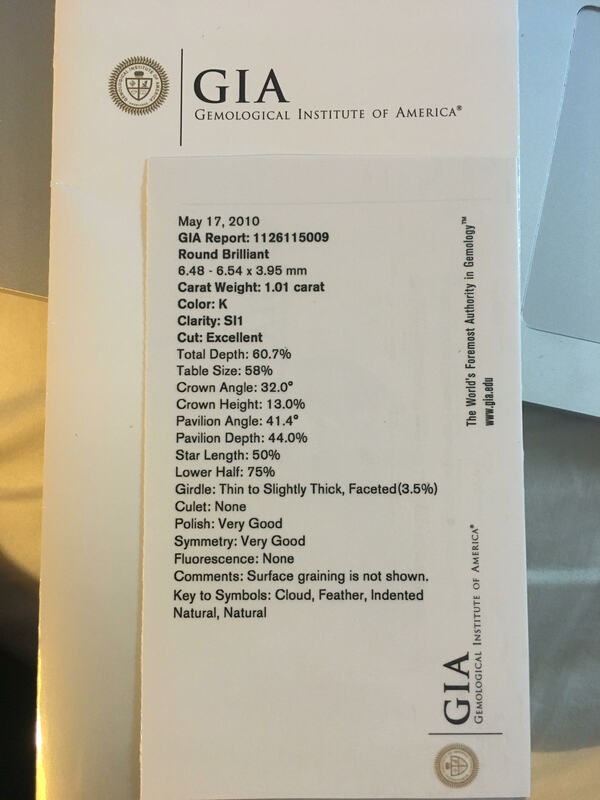 It has a 60.7% depth, a 58% table, SI1 clarity, K color, an "Excellent" cut grade and has been graded by the GIA (Gem Trade Lab Report available). 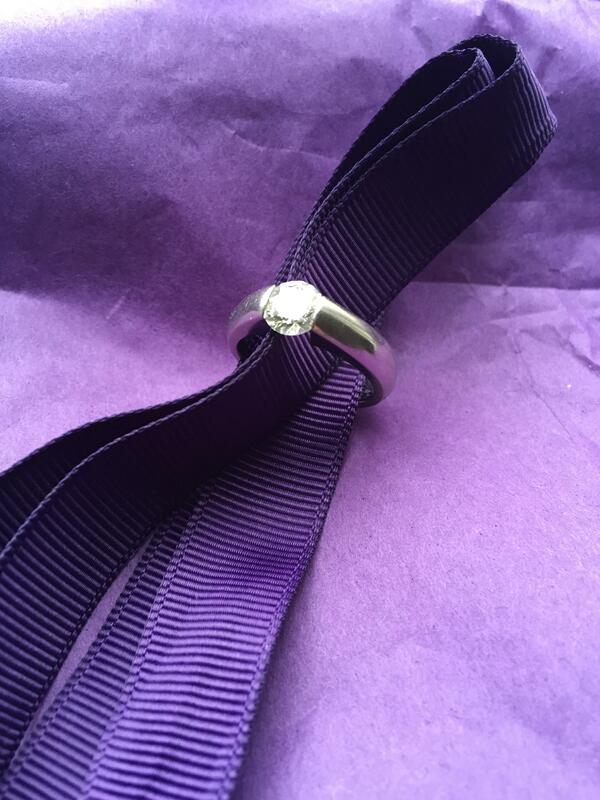 The stone is a dramatic Gelin Abaci "tension" set weighing 9.70 dwt. It is a size 6.5. Originally valued at $ 11,350 USD.